Because of some professional and personal accomplishments, 2016 was a satisfying year for me. As the owner of Bourke Design, I designed and developed websites for five great clients, including Renaissance Nutrition Center, Northwest Rheumatism Society, Inside Nashville with Tom Moran, Medical Doctors Union, and Flying Fish Company. Website maintenance tasks kept me busy as well. I completed major updates on the following sites: Culinary Trust, Fresh & Wild, CLASS Academy, Enlighten Writing, Right Angle Construction, Corabel Shofner, and Oregon Integrated Health. Some identity and print work made my schedule varied and interesting. I refined logos for both Northwest Rheumatism Society and Reed Kelly and produced compelling business cards for Lightbox Portland. For several years, my mom and I have researched and worked towards the goal of publishing her first novel. 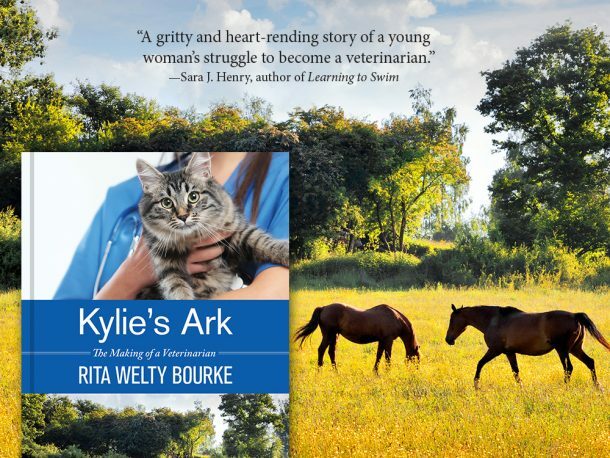 The culmination of our efforts resulted in the publication of Kylie’s Ark: The Making of a Veterinarian in April. The book, which received a starred Kirkus review, traces the main character’s progression from park ranger, to intern, to licensed vet. The project involved a number of steps, and we learned much about the publication field along the way. Our countless tasks included creating an ARC (Advance Review Copy) campaign, drafting an effective press release, producing both print and e-book additions, adding the book to Amazon and iBooks, and updating RitaWeltyBourke.com to promote the novel. We signed up for expanded distribution through Createspace and recently discovered the book is now also available through Barnes & Noble, Powell’s, and many independent bookstores. We are delighted by all the positive responses and over fifty 4 and 5-star customer reviews. With all my work responsibilities, I value having a quiet and cozy place to be productive alongside other entrepreneurs. Collective Agency continues to be my favorite co-working space in Portland. 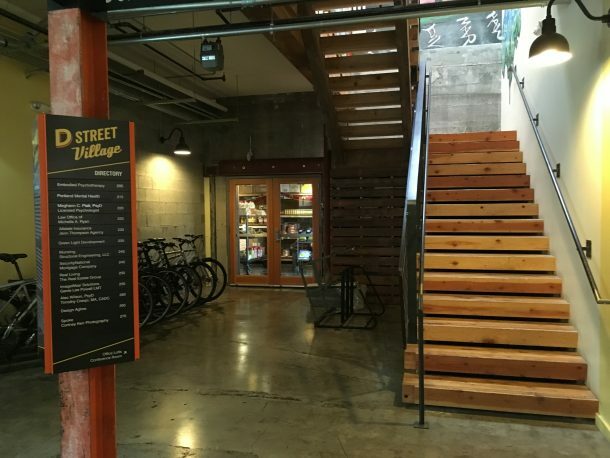 I was thrilled in November when owner Alex Linsker opened a second location in SE Portland. The atmosphere of the Division space has a completely different feel from the downtown location. The actual office is much smaller, but the building hums with about twenty other businesses. The downstairs hosts eateries like Stella Taco, Eb & Bean, and Bollywood Theater (delicious Indian food). And free street parking surrounds the building! I strive to attend at least one professional conference per year, so in September I traveled to my hometown for WordCamp Nashville. I was fascinated by how the design and development community in Music City has flourished over the years. A conference highlight was the thought-provoking session by Nathan Ingram entitled “The Power of Recurring Income.” I gained insight into some business practices I’d like to change to make my work life less stressful and even more fulfilling. Regarding my personal achievements, I was most proud to certify my cat as a Pet Partners therapy animal. My friendly domestic longhair, Keats, has long loved meeting new people in unfamiliar settings, but I wasn’t sure if he would behave while sitting in a stranger’s lap for 20 minutes. After taking a class at Columbia River Pet Partners (a fabulous local organization), I became more confident in our abilities as a pet therapy team. Keats and I now visit a memory care facility in SE Portland twice a month. We’ve greatly enjoyed getting to know the residents there, and thanks to the generous petting, Keats’ coats has never looked more shiny. It’s a hard life for a kitty. 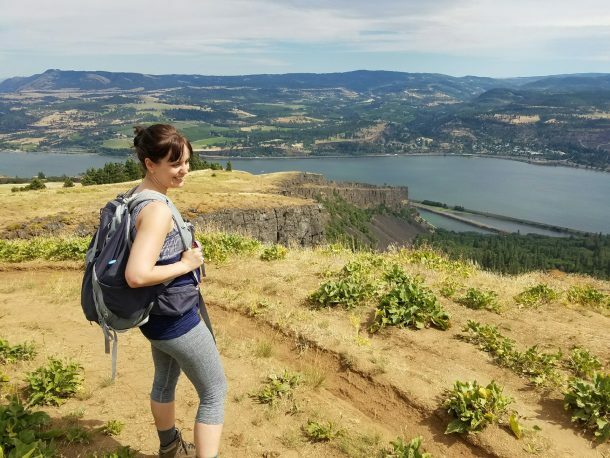 My year in Portland wouldn’t be complete without a number of scenic hikes and side trips. My boyfriend and I hiked the Coyote Wall-Labyrinth (true to its name we got lost in the labyrinth, but did not see any coyotes), Cape Lookout, Siouxon Creek, Opal Creek, and Beacon Rock. We also rode the rails in Tillamook and pitched a tent for a weekend at Jessie M. Honeyman Park. 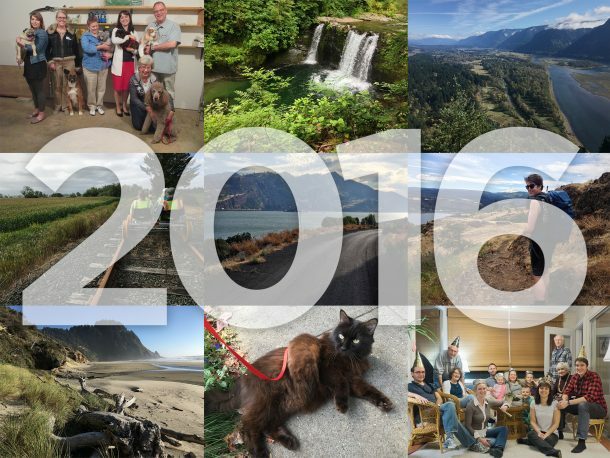 Looking back on 2016, I am very thankful for the clients who kept me busy, my passion projects, and the opportunity to enjoy the small things in life while residing in Portland. Happy 2017! If you’d like to stay tuned to my tips related to web design, development, search engine optimization, and book publishing for the new year, please subscribe to my e-newsletter.